National Prosecutions Services is an Independent and Autonomous Body established by the National Prosecutions Services (Establishment) Order, 2018 made pursuant to Article 36 (1) of the Constitution of the United Republic of Tanzania of 1977. The functions of National Prosecutions Services are as stipulated under Article 59 B of the Constitution and the National Prosecution Services Act, 2008. 1.1 Reports to: Regional Prosecutions Officer. 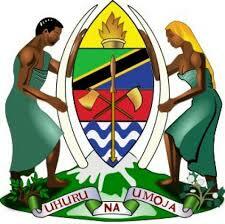 1.2 Duty Station: Head Office in Dodoma and at its Regional Offices across the country. Those with specific reasons for them to be posted to stations of their preference or convenience other than where they may be posted should not apply. Application for the change of duty station after recruitment process will not be tolerated. xiii. To perform any other official duties as may be assigned by Regional Prosecutions Officer. Bachelor of Law (LLB) degree from recognized Institutions. Must have completed and passed the Internship or externship programme supervised by the Attorney General’s Chambers or Legal Practical training conducted by the Law School of Tanzania. Fluency in English & Swahili Languages. The Department is a semiautonomous Department under the Ministry of Health, Community Development, Gender, Elderly and Children, established by Act of Parliament No.13 of 1993 with an objective of developing, and maintaining an efficient and cost effective system of procurement, storage and distribution of health commodities required for use by the public and accredited faith based health facilities. It has a zonal network all over the country directly serving 7000 health facilities through an Integrated Logistical System. 2.3 JOB PURPOSE: Planning and developing strategies for guarding the company premises. x. Ensure training for emergence procedures have been conducted to all employees. i. Holders of Bachelor Degree in any of the following field; Environmental Disaster Management, Risk Management, Public Administration or equivalent qualification from any recognized institution. ii. Specialized security trainings. i. Written & oral communication skills. 3.2 JOB PURPOSE: To ensures that files and document registers are secure and maintained. vi. Arranges files and records in racks and cabinets in the registry or archives as well as performing classification of records and documents and box them accordingly. vii. Deals with requests for documents and records from other organizations. viii. Conducts daily file census and circulates flimsy file to authorized officers. iii. Computer packages for database creation and management . The position attracts permanent and pensionable contract.